EACH DAY THE DARKNESS COMES EARLIER, too early, and we talk about how this early darkness feels unbearable. The daylight is less and less, each day shorter, some very old part of our brain senses imminent danger then by a miracle the light returns and we celebrate. 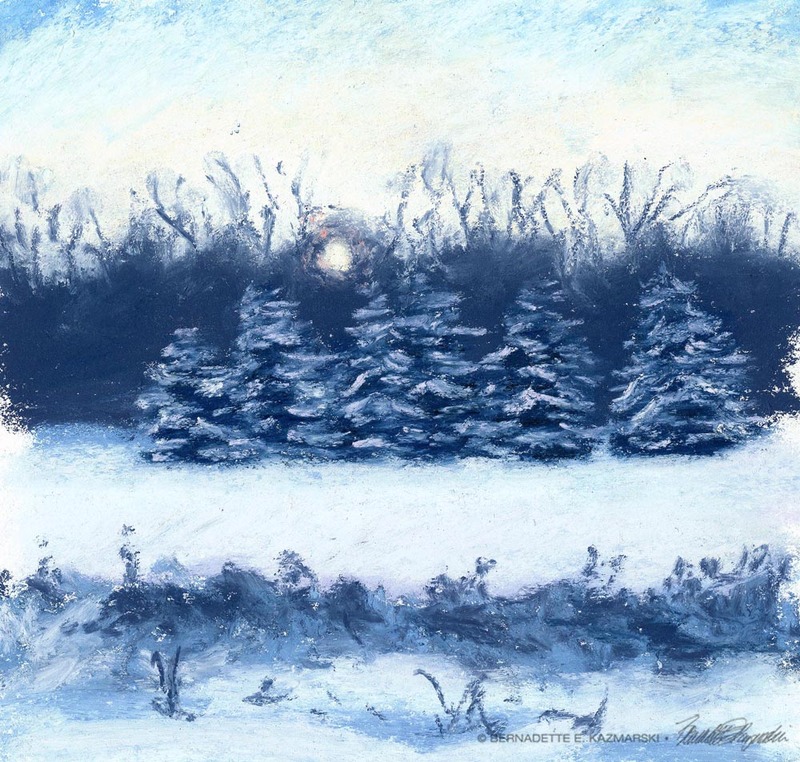 In this newsletter please enjoy my annual specials on original artwork, seasonal gift items, featured photos, and a seasonal story and poetry. You can sign up to receive it in your inbox, quarterly on the first day of each new season. If you’re still shopping or looking for bargains after the holiday, shop for special gifts of artwork and unique handmade items inspired by nature in the galleries on Portraits of Animals. The blue and green display including keepsake boxes, tiles, decorative dishes and votives. My Handmade Gift Gallery includes new everyday and seasonal items and designs for my nature and wildlife inspirations including jewelry, decorative dishes and coasters, keepsake boxes and household items. 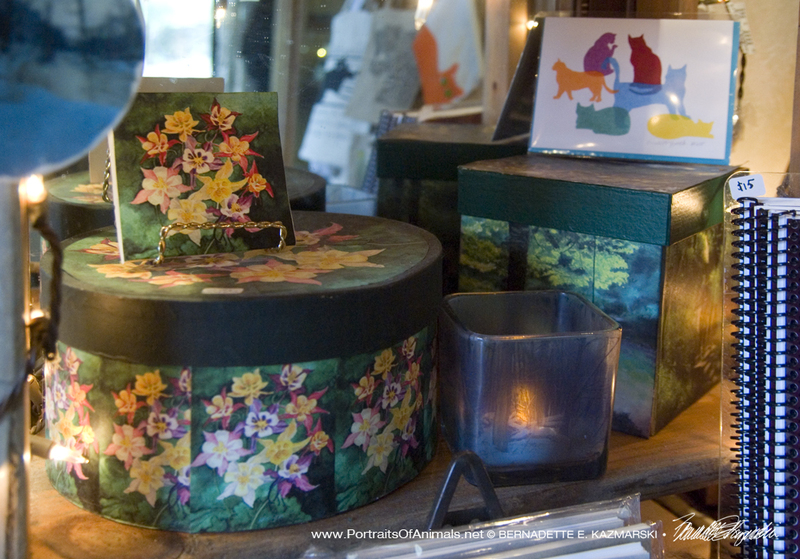 The green display with keepsake boxes, tiles, votives, and hand-printed note cards. Dusk in the Woods votive, angled. 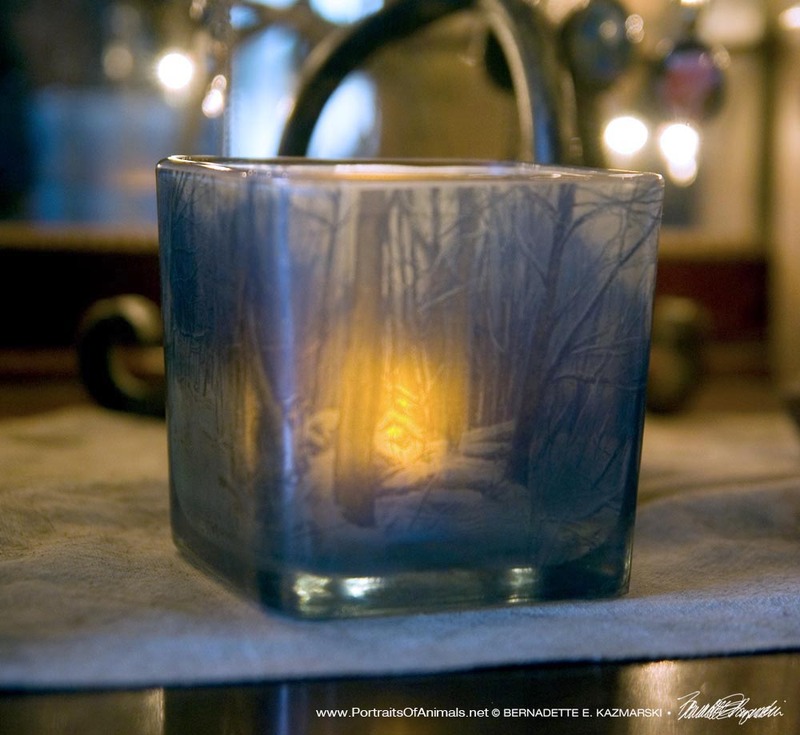 These votives feature a longtime favorite winter painting, “Dusk in the Woods” on a 3.25′ x 3.25″ square glass votive and this month’s featured nature artwork, “Solstice”, on a 3.25″ round glass votive. 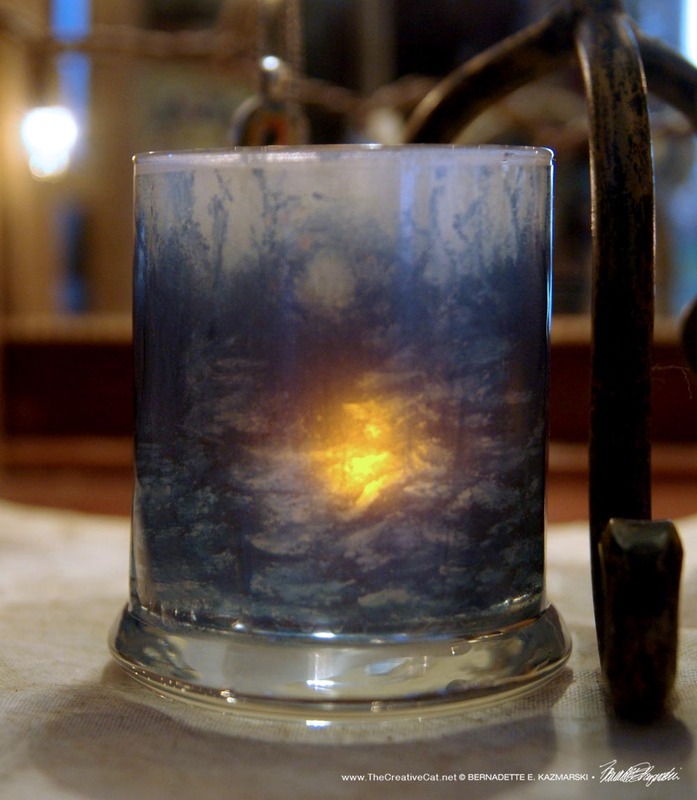 I etched the inside of the votives to better diffuse the light from the candle, then printed the design on a commercial clear vinyl label and burnished it onto the votive. Each votive comes with an LED tea light. I can guarantee that you’ll be seeing many more of these featuring other art and photos as well. 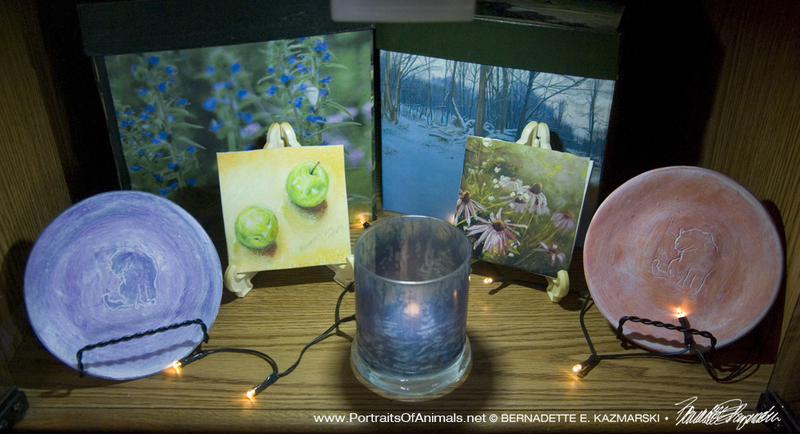 Visit my Votives gallery to see these and more. I make these 4” tiles from white polymer clay and heat transfer the image onto the surface.Because they are handmade and shaping, stamping and drying changes their dimensions, they are not uniform in size, shape or thickness, but that makes each one unique. 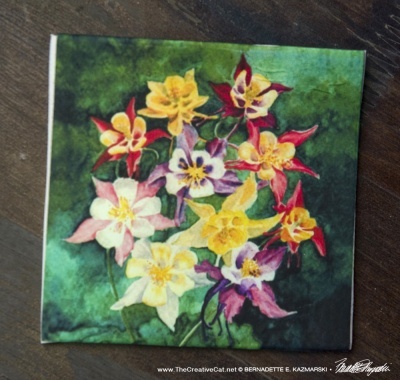 Visit my Tiles and Coasters gallery to see these and more. These work great as coasters for containers filled with hot food or liquids, like mugs of coffee or tea or dishes filled with cooked food. There is not enough heat transferred to affect the polymer. This set of cube-shaped papier-mâché boxes range in size from 9″ x 9″ to 3″ x 3″. 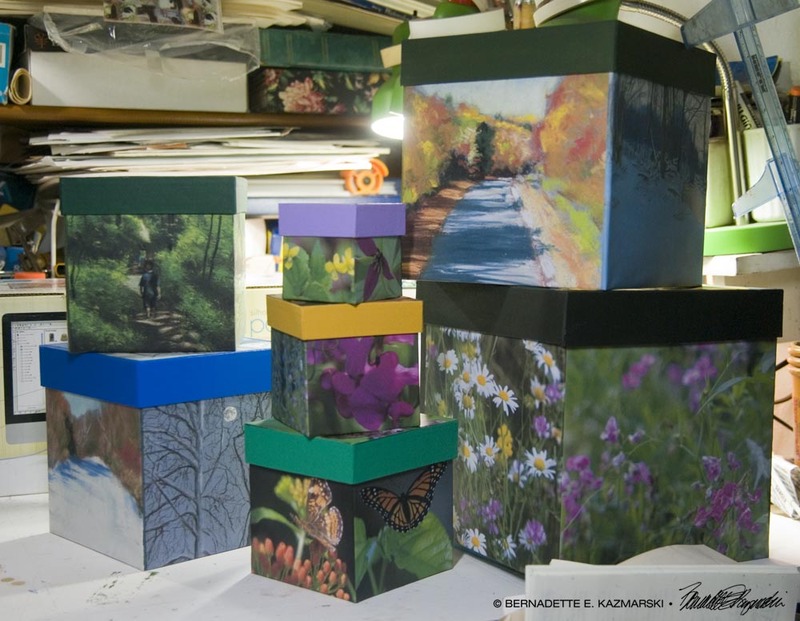 Each box has five images, one on the top and each side, and is trimmed in a complementary color. 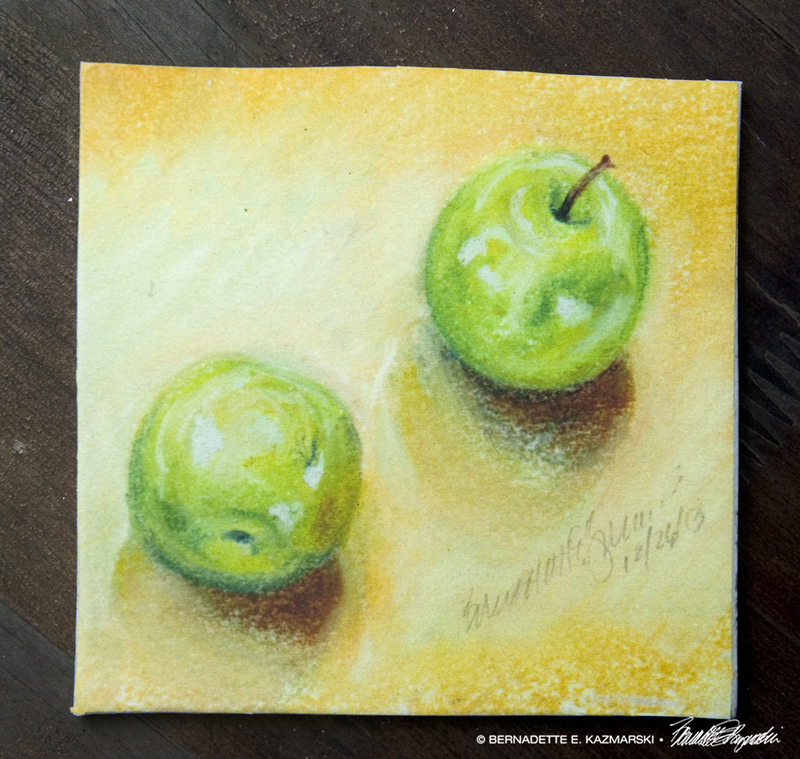 Find them in my Keepsakes gallery. 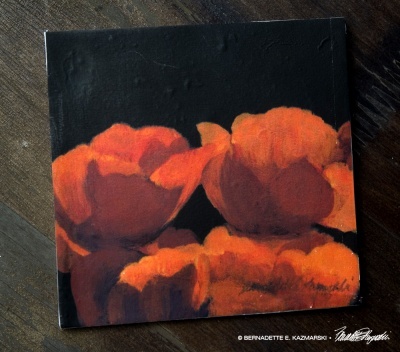 These decorative trays are 10 x 14 and 8 x 12, made of lightweight unfinished wood and feature a favorite painting and photos of scenes along the trail. Find these in my Trays gallery. 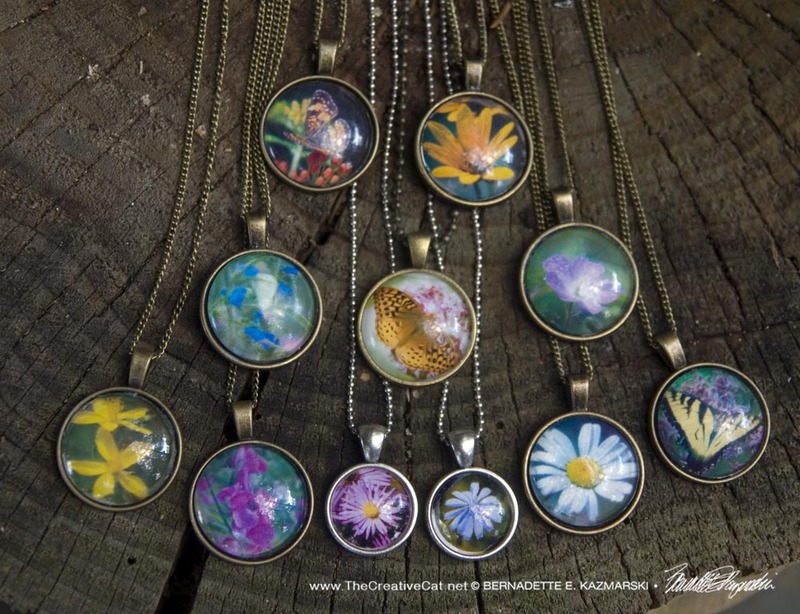 The cabochon pendants I’d made for my Seasons of the Panhandle Trail exhibit sold so well the first day that I made another set the next morning! 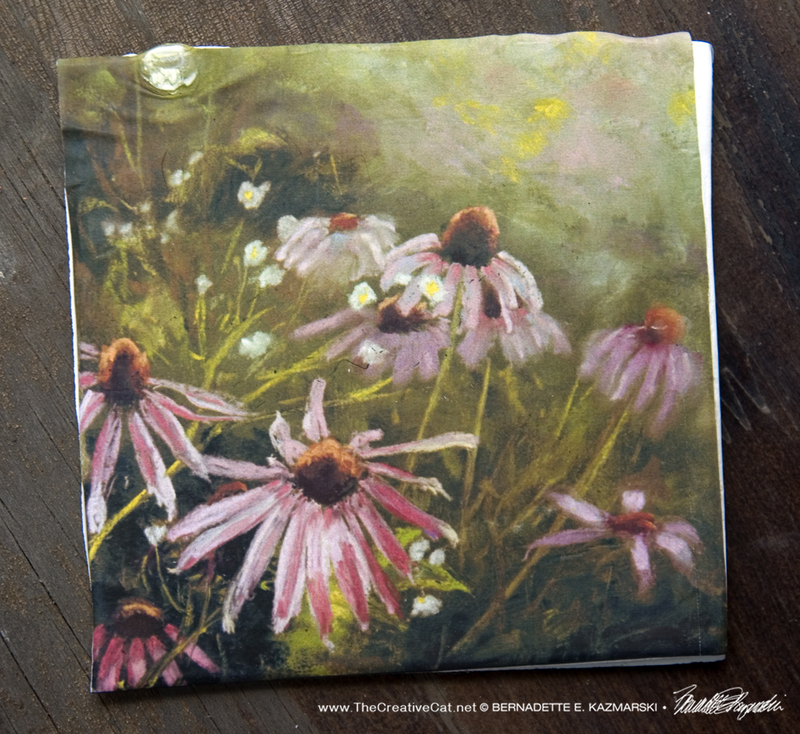 Sunflowers and sweet peas, daisies and St. John’s Wort, and butterflies, and I make new ones in different shapes and sizes and subjects all the time. Cabochon pendants are $15.00 each, or 2 for $25.00 with the code 2CABACHONS25 through December 31, 2018. Find them in my Jewelry gallery. I love winter so much I decided to do a show featuring the season in 2004, with snow and without. From bright blue skies to brilliant fluttering chestnut leaves, forest green spruces to amber oaks, shiny red rose hips to olive green moss, winter is a very colorful time of year. 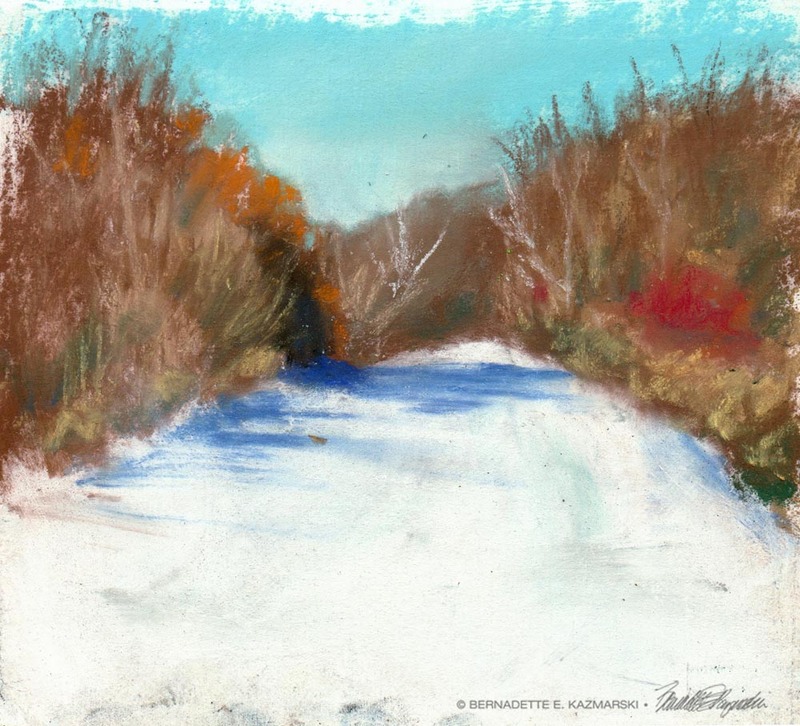 “Winter White” is a series of small sketches, none larger than 12″ x 12″, inspired by winter in pastel, watercolor, pencil and pen and ink from the trails to the backyard, completed en plein air and indoors—often standing on my deck or sitting in the front seat of the car—illuminated by the stark light of winter. 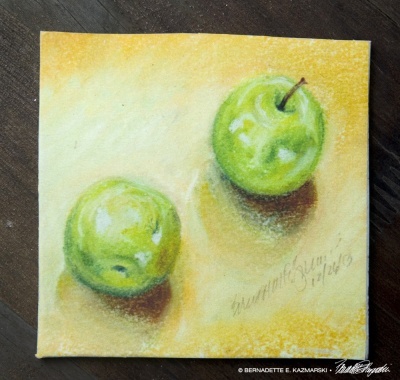 Visit the gallery to see more. Visit all my photo galleries for gift ideas on Portraits of Animals. 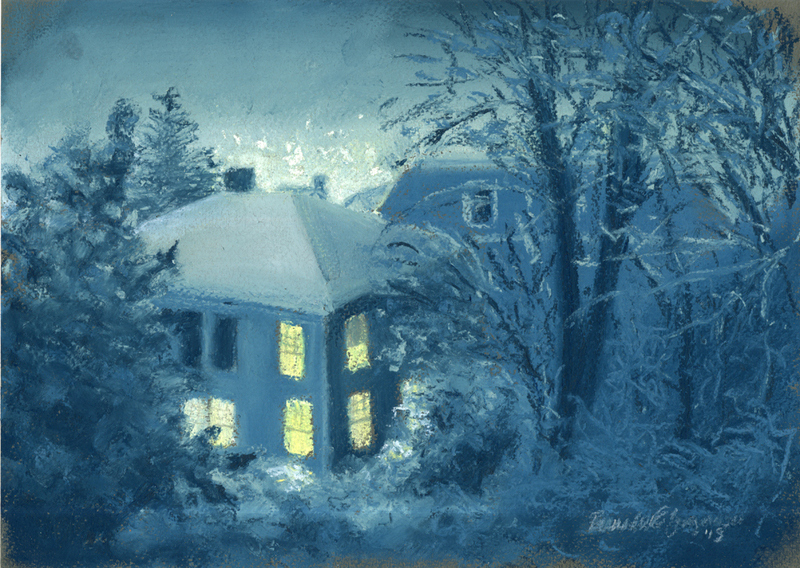 Here are a few galleries with seasonal themes, and stories to accompany. 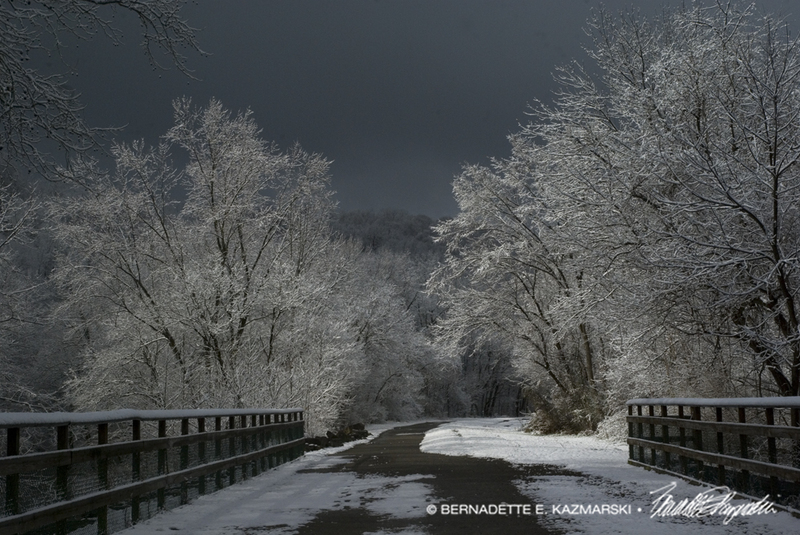 When I saw the snow that morning, just an inch or two carefully blanketing each branch and twig in the tree outside my window I knew what my destiny would be if the snow stopped and the sun came out. It did, and I headed for the Panhandle Trail, on foot just planning about an hour of photos in the first half mile of the trail. Mission accomplished. 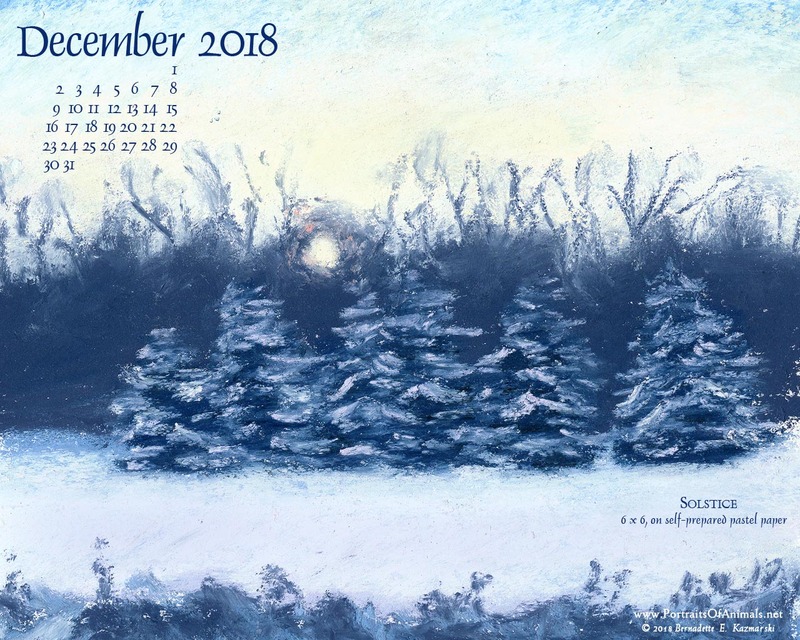 Each month I choose an image to feature and design a wallpaper calendar for computers and mobile devices. 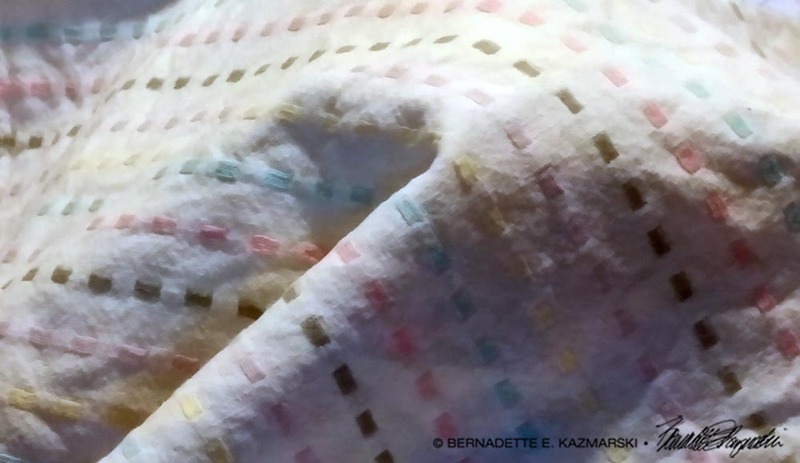 That image is also available as a free matted print when you sign up for an account on www.PortraitsOfAnimals.net. 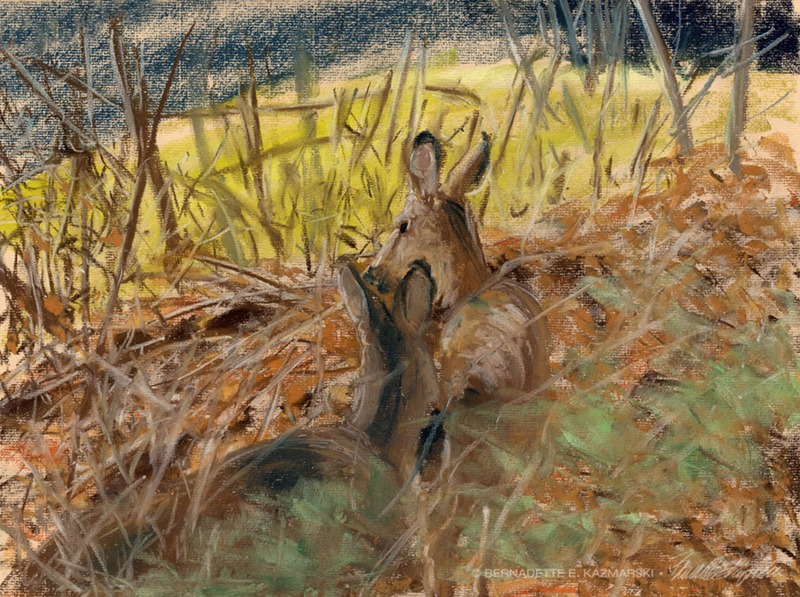 I alternate between a painting and a photo, and subject matter, medium and style changes all the time. Go to the article and read about the artwork, then choose your size for your device. I will add you to the “New Member” group and send you a coupon code and a link to the page to view and purchase your free print. 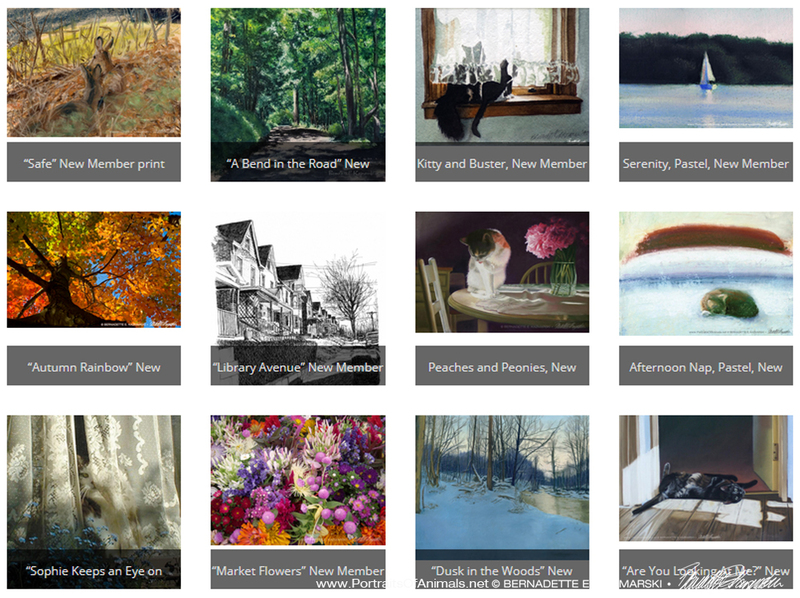 If you’d like to browse the available prints now, you can visit Current New Member Gifts. Or go to the Registration Page and sign up. Thanks for reading, and for following my art and design! 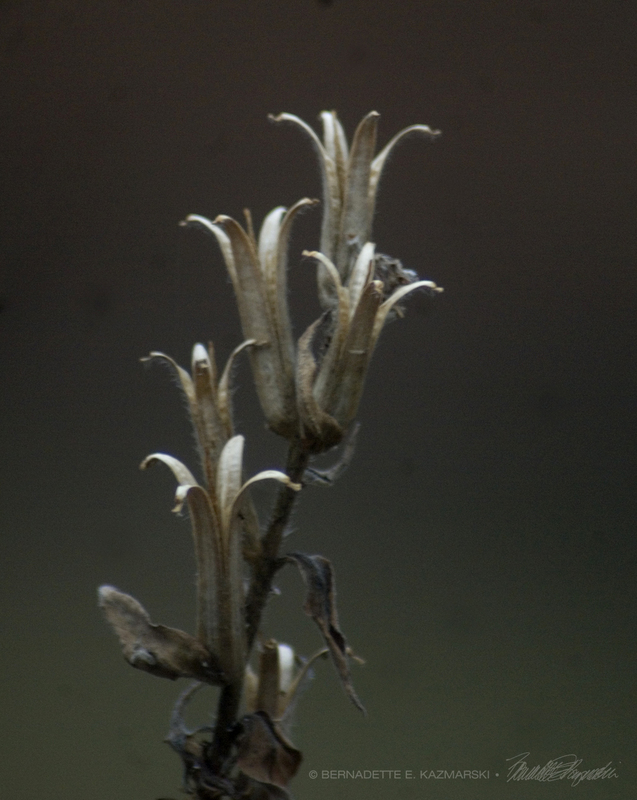 Until the Vernal Equinox I hope you find something beautiful in every day. 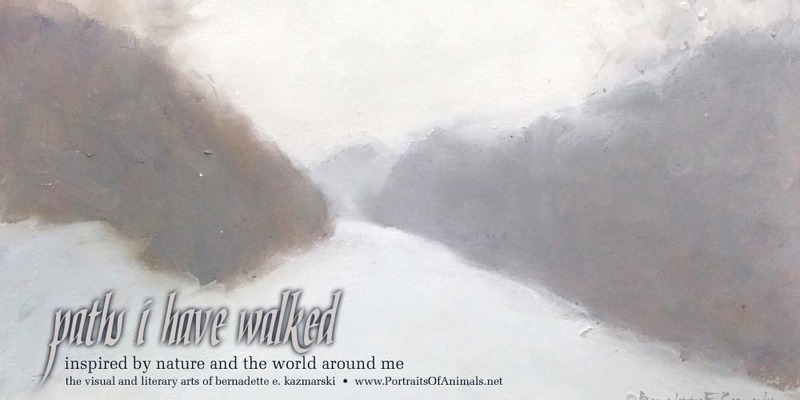 Sign up to receive my Art & Wildlife newsletter in email for specials on artwork plus a preview of new and seasonal gift items, featured photos, and a seasonal story and poetry. You can sign up to receive it in your inbox, quarterly on the first day of each new season. While you’re there you can also read a seasonal story and poem, and sign up to receive the newsletter in email. I publish it quarterly on each season’s change, and occasionally to announce an upcoming exhibit, event or vendor show. Each issue includes a special discount available only to recipients for a week after the newsletter is published. 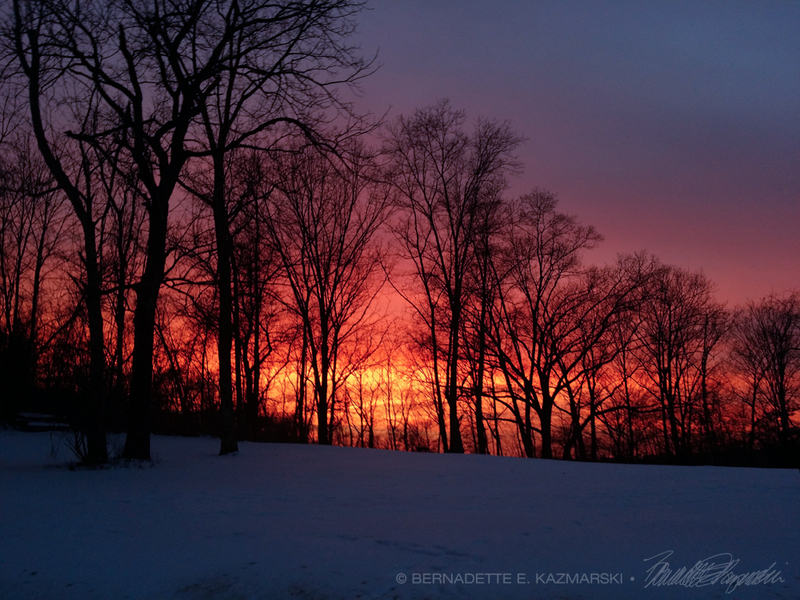 This entry was posted in framed artwork, Nature and Wildlife Newsletter, newsletter, original artwork, prints of artwork and tagged newsletter, winter, winter solstice on December 26, 2018 by Bernadette.